Today was a special and sacred day. In the morning our Pilgrims visited Uluru up close. 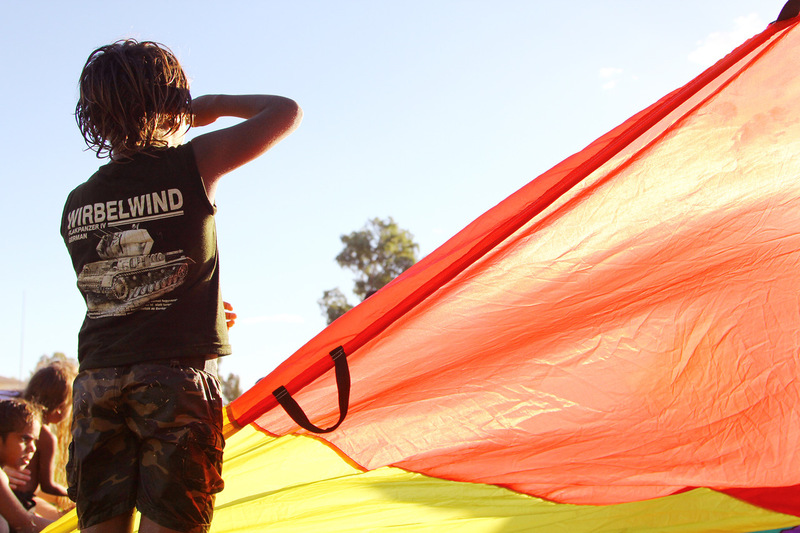 Our guides told us stories about Tjukurpa, which is the traditional law of the Anangu, and each story comes with lessons about how to live in harmony with others. Tjukurpa stories around Uluru come with evidence written into the rock, with features of Uluru illustrating key aspects and characters. 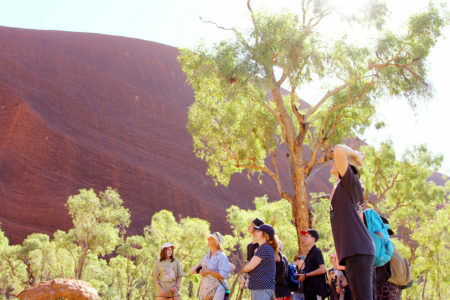 It helped us understand why this land is so important to Anangu; for tens of thousands of years Uluru has helped them teach their young people how to live, hunt, stay safe, and be in relationship with each other. At the end of the walk we spent time in Kantju Gorge, a key feature of Uluru. For 18 years each of our Pilgrims has sat in silence in the Gorge, trying to listen to their hearts are telling them about their journey, and what it means to be in that moment. A nearby Cultural Centre helped us learn more of the stories of the rock and what it means to Anangu. 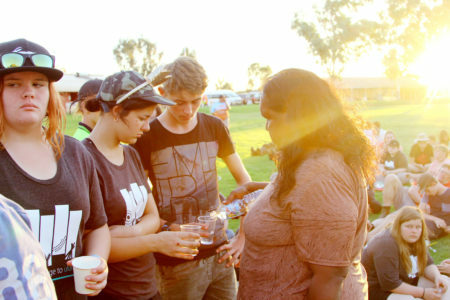 After lunch was our Community Festival for the Yulara and Mutitjulu community. 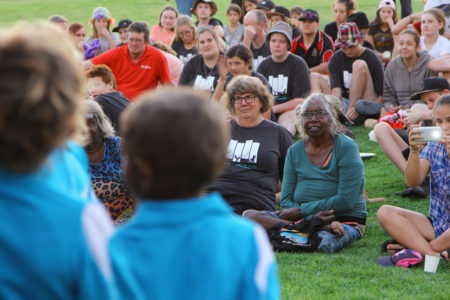 This is a long standing tradition, and one of the only times that the kids from Mutitjulu, the Anangu community, get to play with kids from Yulara, the tourist town. This festival was incredible, and for many of us it was a celebration of everything we’ve been through. It was so special to be able to share time and joy with the Mutijulu community, who have shown us hospitality and shared their knowledge with us. 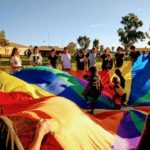 Kids from Mutitjulu Primary School sang some songs, and we got to watch a brand new music video from the students of Nyangatjatjara College. Our night ended with an inma (mean ‘ceremony’). Known as the Water Ceremony, this reflective space was an opportunity to move towards reconciliation. 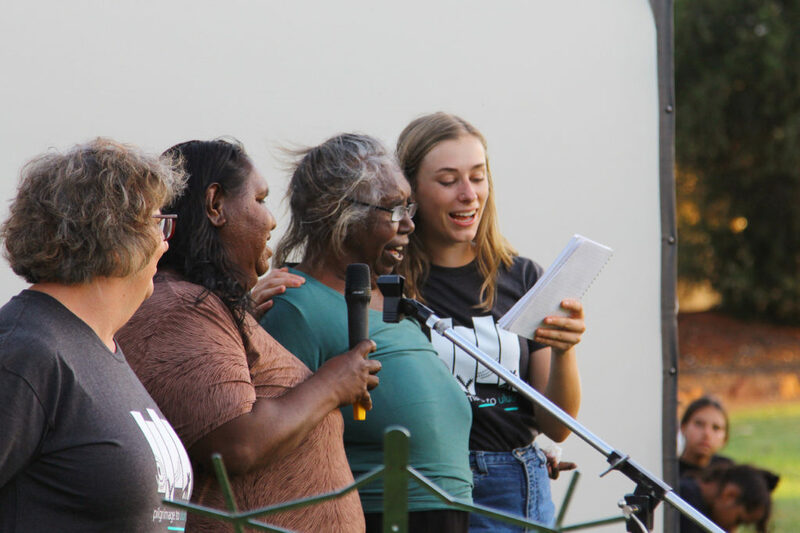 Anangu elders gave water to the Aboriginal Pilgrims, who then shared that water with the rest of us. Taking this water was a symbol of doing things differently to how they were done in the past. Accepting the gift of life from our First Nations peoples, and taking it with a heart of thankfulness. A different response to what happened when the first settlers where offered the same gift many years ago. For two of our Pilgrims who have Tasmanian Aboriginal ancestry, it was a special experience. So much of Tasmanian Aboriginal culture has been lost, so being invited by Anangu into a special inma was profound. 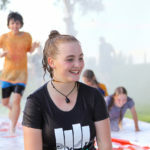 A chance to express their Aboriginality and be part of culture in front of the friends they’ve been journeying with. Today was a long day, but contained so much that will have impact on us for a long time to come.